Lombard Street in San Francisco USA is said to the "Crookedest Street in the World". Whether that claim is true or not, it is certainly enjoyable to visit the popular attraction if only to watch the expressions on people's faces as they drive down the hill! 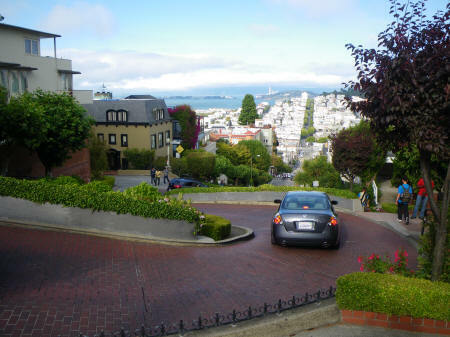 Lombard Street is located in the Russian Hill District of San Francisco between Hyde and Leavenworth Streets.